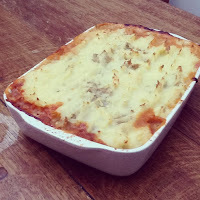 Vegan Month of Food starts on Sunday and what better excuse to get blogging again! Throughout the month of September I'll be blogging as regularly as poss. As you can tell by now I tend to dip in and out of things quite a bit but I'll be making every effort to commit for this special event. I'll be taking a lot of cues from here as well as a few things I've been meaning to post for a while. Wednesday marked the 1 year anniversary of living in Brighton with my BestfriendBoyfriend Josh. It really is the most fantastic city, exactly what I'd hoped for and there is still so much more I want to explore! 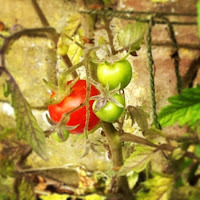 I've just harvested my first red tomato! It was deelish and I'm looking forward to plenty more along with the odd sweet pepper if I can coax them to ripen. 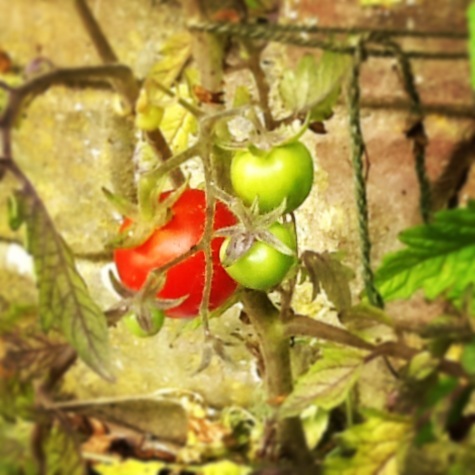 Last week I downloaded Instagram for our Ipad and that rosy beauty was my first upload. I'm not posting too much at the mo, (taking photos in public with Ipads looks weird doesn't it?!) but there are a few foodie snaps tentatively testing the water! Thank you, I will be blogging whenever I have anything of interest to say during September! Aiming for about 20 posts... watch this space! Thank you! There are a couple more showing up now, must remember to water them before bed! I had some broad bean plants this year too but the bugs got them after only one tiny harvest! I lost count of all the different specimens among them and decided to leave them to do their thing! Your blog looks great, I look forward to having a good ol' read with a cuppa tomorrow. Yes Brighton is vibrant and brilliant you must! happy living in Brighton anniversary, I've been here for 11 years in September and I still love it. I'm looking forward to your MoFoing but can I suggest that you remove your spam captcha for the month? When people are commenting on a lot of blogs every day they can be a tad irritating!